A mini follow-up from my post earlier this week. As I’ve been pondering a lot about the Lord’s presence, it would just so happen my morning reading included the verse above. 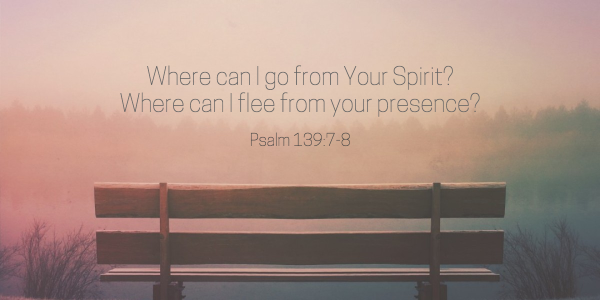 God’s presence is always with us. He never leaves us. Even if we try to run away from him. His presence is always there. But how often am I actually attuned to His presence? Sure, I may read my bible in the morning but am I actually connecting with God’s Spirit or just reading a few chapters and checking off a box? We cannot remain the same when in the Lord’s presence. Every time, I believe, He grabs a hold of our hearts and minds, reveals more of Himself, and makes us just a little bit more like Him. But how many days go by when I never actually tune into His presence? He is always there, ready to connect with us. Too many days I take His presence for granted and only think to truly connect with Him when I am in need. How radically different my heart, mind, attitude, and days would look if I was continually aware of His presence and constantly intentionally about staying connected to Him, resting in Him, abiding in Him, getting all my wisdom, energy, compassion, and love from His presence instead of my own strength? Lord, help us to be aware of Your presence. Thank you for the promise that You are always with us. That we cannot out run Your presence. That You are always there. When we run to the familiar Christian checkboxes of things we should “do”, remind us that it’s only Your presence where we are made whole, where You fill us up, where You change us to look more like you. We invite your Spirit to invade our hearts, minds, and souls. Overwhelm us with your presence. Keep us constantly aware of your presence and desiring connection with you at all times. I wonder if we aren’t doing the same reading/devotion as it was mine as well. Thank you for sharing your heart Hanna!